You want to find diapers with a comfortable waistband as they will be wearing it throughout most of the night. You may want to choose chemical-free overnight diapers as they may end up with highly irritated skin if you don't. The absorbency level of the diaper is important. This is one reason why it's important to invest in overnight diapers-they typically hold more than your average diaper. You want to make sure that the diapers fit your baby, perfectly. A diaper that doesn't fit well will cause leakage and you will be back at square one with a wet and fussy baby and a bed that needs washing. Making the choice on the right overnight diapers for your baby is a personal decision. Much of the decision depends on what you are looking for and what you don't want in your baby's overnight diapers. If you try your best to use eco-friendly products, you will probably appreciate the biodegradable options that many brands offer. Another factor in deciding on overnight diapers is the age of your child that is using them. 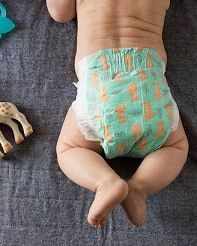 There are special diapers for older babies or young toddlers who may be aware of "big kid underwear" and who may prefer using pull-up diapers over baby diapers. If you have a budget for your baby's expenses and necessities, you may want to find affordable options. There are brands that offer quality diapers for more affordable prices for parents who don't want to spend an arm and a leg on their baby's disposable diapers. When searching for your little one's overnight diapers, you will want to pay attention to materials used. First of all, the layer that will come in contact with your baby's skin is very important to pay attention to as some materials may irritate easily or cause rashes, especially when the diaper gets wet. A good material to look for is one that is hypoallergenic and preferably one that doesn't use any chemicals in it. It's also a good idea to look that has a wheat/corn core which helps to provide extra absorbency and also encourages freshness. Overall, what you want in your baby's overnight diapers is that they are highly absorbent so that your baby's diaper doesn't get soaking wet or leak. The Bambo Nature Premimum Baby Diapers are considered to be top eco-friendly diapers. It could be because they have 100% hypoallergenic material or don't contain dyes or perfumes, or any other harmful chemicals for your baby. They have a highly soft material which ensures that baby stays comfortable all night long and they are relatively absorbent for being thin, non-bulky diapers. They are high-quality diapers which don't rip apart easily, even after a night of pee. You may need to pay careful attention to weight and size, as the product may not fit as it promises. If you like the Huggies brand, these overnight diapers may be ideal for you. They have a high-absorbency level which helps to ensure that they don't leak, even after a whole night of use. The Huggies Overnites Diapers also have a comfortable waistband which helps to make it easy for baby to sleep through the night without getting irritated. The large tab for closing the diaper is long enough for adjusting sizes. One feature which may not make some parents happy is that they aren't made from natural organic materials, but Huggies does well in keeping the scent and chemicals to a minimum. It may not be the most important factor, but many parents may appreciate that these Pampers diapers have a wetness indicator. Another top feature of these overnight diapers is their extra absorb channels that distribute the wetness throughout the diaper to keep them from leaking. This helps them to be some of the most absorbent diapers for nighttime. 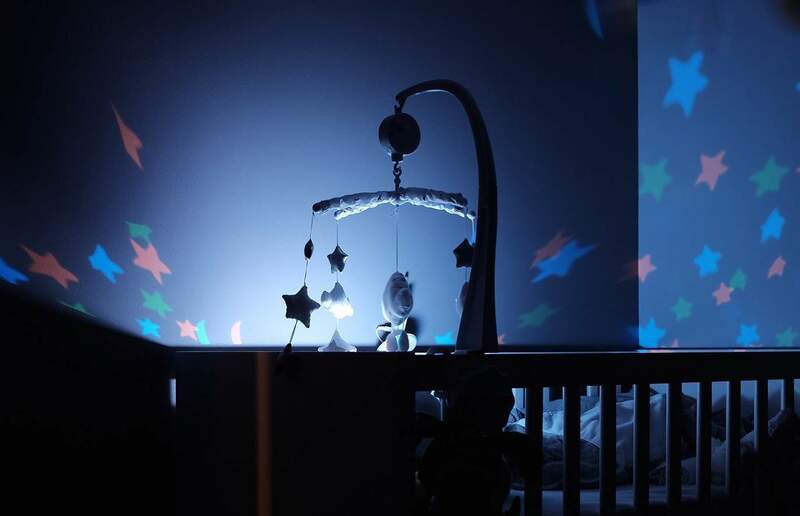 The material is soft and comfortable, which as any parent knows is important for long hours of nighttime wear. One factor that may be missing for some parents is that these diapers are not made from natural materials and have a strong scent. The Honest Overnight Baby Diapers are eco-friendly and made with hypoallergenic material which helps to keep your baby rash-free and comfortable. Honest also does a great job at making cute designs for adorable diapers. They have a wheat/corn core which will help with absorbency and the outer layer of the diapers is made from plant-based materials which makes them some of the safest diapers for your baby. They are somewhat thinner than most overnight diapers, but they are decent on absorbency. Best of all, they have no smell. For parents with young toddlers who have yet to be potty-trained at night or older babies who are larger than others, these diapers-or rather, underwear-are a good option. One of the most attractive features about these "underwear" is that they have amazing absorbency. They come in large sizes making them ideal for parents who have bigger babies that don't fit in regular diapers. They are also very soft which helps when your little one will be wearing them all night. These diapers work best for parents with babies from 6 months to a year old, although parents with younger babies can also depend on them as reliable diapers. Honest does a good job at providing parents with a product that will ensure less rashes and less leakage-which are both attractive factors when choosing the perfect overnight diaper brand.